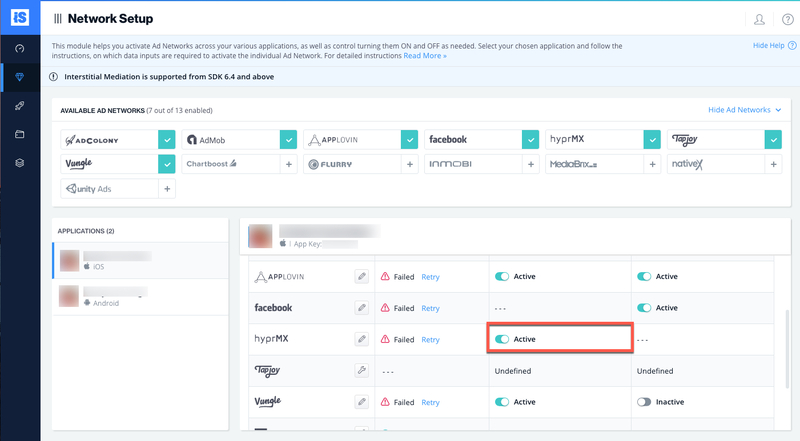 This guide will instruct you step-by-step on how to set HyprMX live as an Ad Network on the ironSource Mediation platform. Note: The HyprMX SDK currently compiles on iOS 7+ but only serves ads on iOS 9+. Once you obtain this information, you must configure HyprMX’s Parameters in your ironSource Account. By adding the above information correctly, you will be able to take full advantage of HyprMX’s ad inventory and reporting data on ironSource’s Mediation platform. Once you obtain the above parameters, log in to your ironSource account and go to ‘Monetize‘ ➣ ‘Mediation‘ ➣ ‘SDK Networks‘. 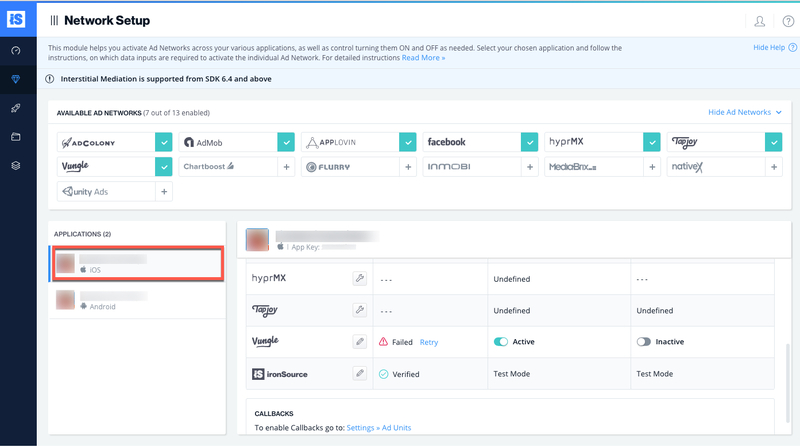 Go to HyprMX on the Setup dashboard and click the Define icon. Then enter the ‘Distributor ID‘ and ‘Placement ID‘ in the relevant fields. If you’d like to activate this network in specific countries, you can select these from the dropdown. Click ‘Save‘. Important! The HyprMX SDK only serves ads on iOS9+. To integrate the HyprMX SDK with Cocoapods, enter the following line in your podfile and you’re good to go! Important! The HyprMX Adapter also contains the HyprMX SDK. 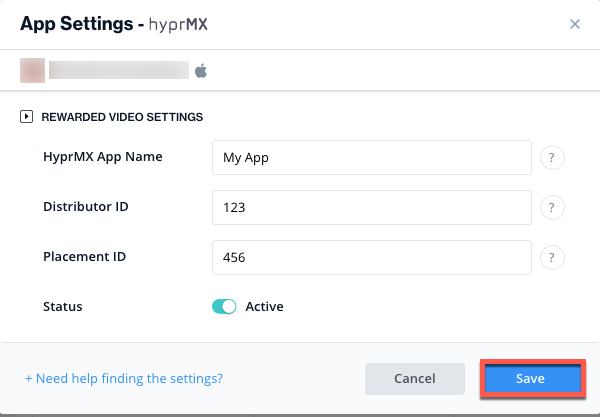 You DON’T need to add the HyprMX SDK directly. After you download the Adapter, drop the Adapter framework into your Xcode Project, i.e. drop ISHyprMXAdapter.framework into your Xcode project. When you submit your application, you will have to provide justification for these ATS settings. HyprMX recommends you note that your ad partners require loading web content from a variety of sources, including those that do not yet support HTTPS. Apple has already agreed that this is acceptable justification in their documentation.